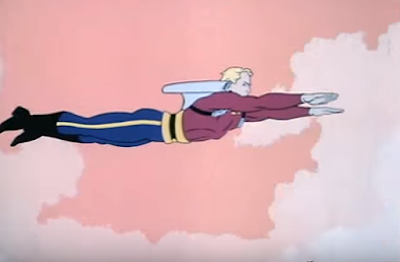 Filmation’s Flash Gordon (1979-1982) underwent a dramatic format change for its second and final season. Each half-hour would now tell two self-contained stores (of approximately ten minutes length), instead of dramatizing one 22- minute serial that was part of an overarching narrative or arc. 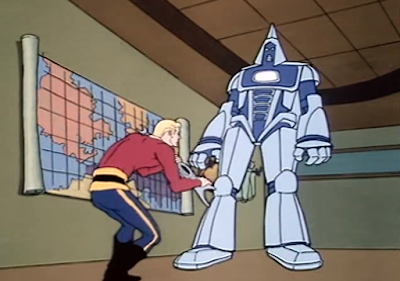 The first season concerned Flash’s quest to gain the trust and cooperation of the diverse kingdoms of Mongo and bring down Ming. 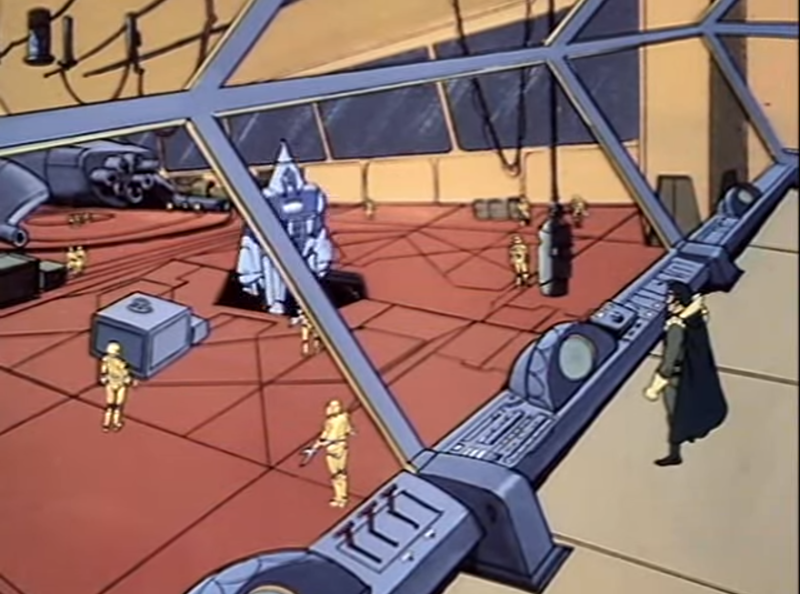 The new season would focus instead on a kind of post-Ming world; one where he was still a factor but no longer had the power base to control the planet. 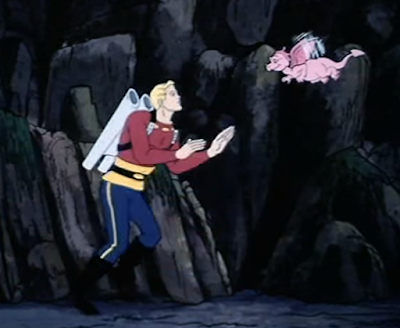 The second season of Flash Gordon also undertook another, controversial step. 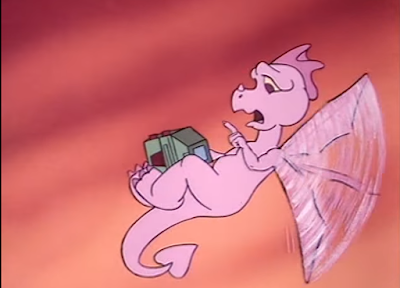 Writers added a new central character: a diminutive pink dragon named “Gremlin.” Gremlin served as cute, comic relief on one hand, but also saved the day on more than one occasion, proving himself a crutch for the writers. 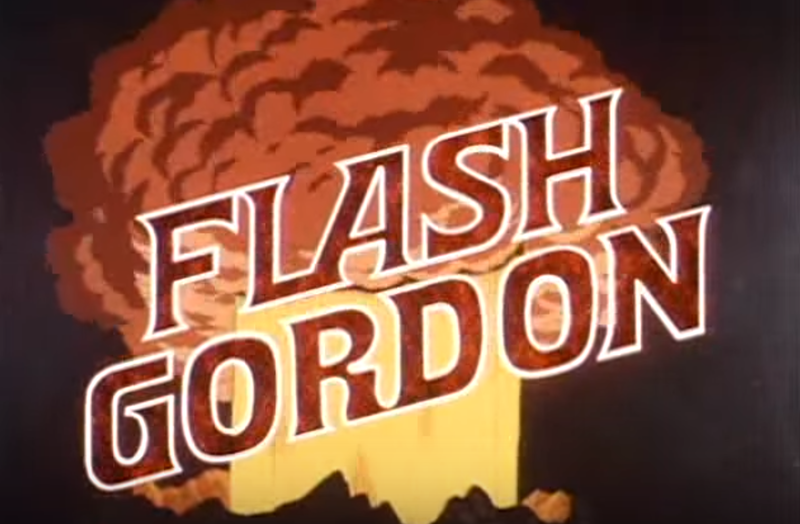 Season Two of Flash Gordon also re-uses a lot of footage from Season One. 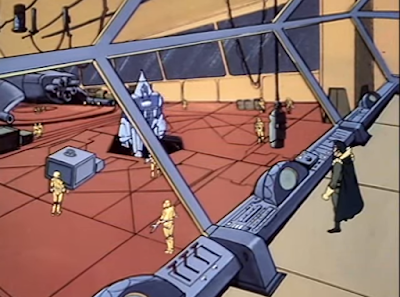 Ming’s secret “Magnetic mountain fortress,” for example, is the home of the Beast Men from the first season. Finally, Flash himself has undergone a kind of personality transplant for Season Two. He’s much cheekier; a wise-cracker. Every new situation is met with a quip or a joke. 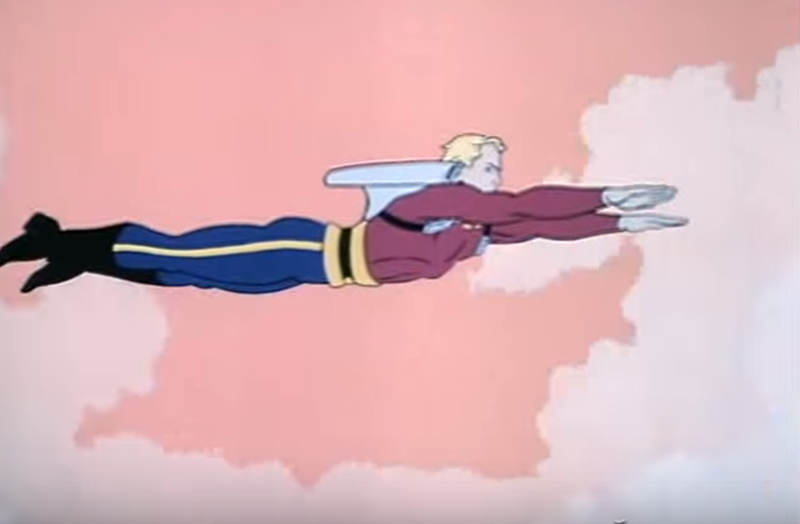 Unlike the situation in Blackstar (1981), where any deepening of the titular character seemed like a step-forward, this approach somehow didn’t seem right for Flash Gordon as a character. On the positive side, Flash has a new toy to play with this season; a jet pack. In the former, Flash and Dale are returning to Arboria for the wedding of Princess Aura and Prince Barin in their rocket (which is flying yet again…) when they set-down to rescue a little pink dragon who is attempting to escape from the Beast Men. In “Royal Wedding,” Ming hatches a nefarious plan on the day of the royal wedding. He sends a giant robot to capture Aura, Dale and Gremlin, hoping the prisoners will be “bait,” and Flash will come to the rescue. The inaugural stories of Season Two feel a bit light-weight. 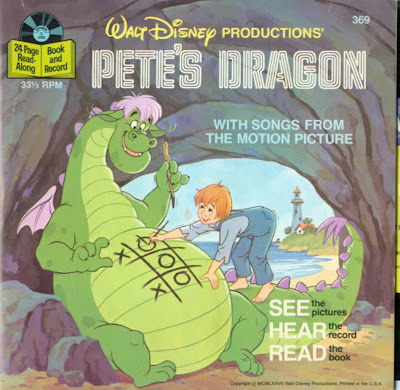 The first episode, “Gremlin the Dragon” may be the better of the two, simply because it features a straight up purpose, to introduce a new character. The story also manages to depict the commitment Flash and Dale feel towards each other. Neither one is willing to leave the other behind in a tough situation. And, indeed, Dale actually does something useful in the episode, for a change, and saves Flash’s life. “Royal Wedding” isn’t so good, perhaps because, even at this early date, the writers seem bound and determined to over-use Gremlin. 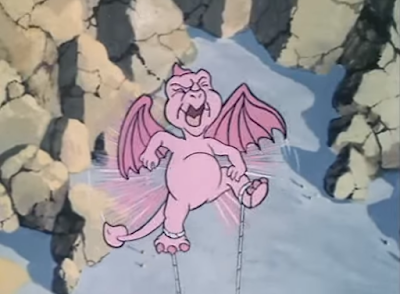 He is the one who defeats Ming’s plan, and the little dragon’s victory does nothing to make Flash seem heroic, or Ming feel like he's still a genuine threat. 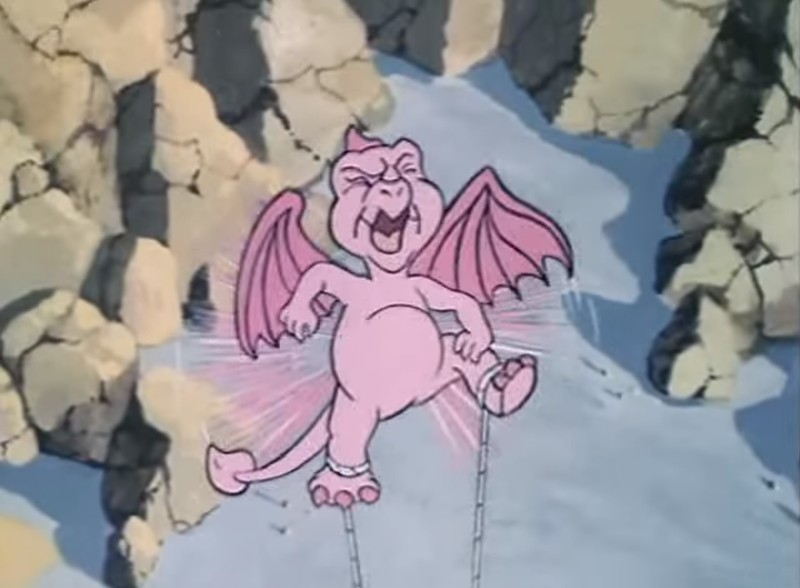 Ming’s villainy is reduced considerably by the fact that his plan for revenge is defeated by a flying “pest.” It seems to me that Gremlin is a fine supporting character and addition to the cast, but that the writers should have used him more sparingly. He could help out, he could support the action, but he shouldn’t often be the definitive factor in winning the day. Next week “Sir Gremlin” and “Deadly Double,” two more Gremlin-centric Flash Gordon episodes. I refuse to acknowledge the existence of this season. 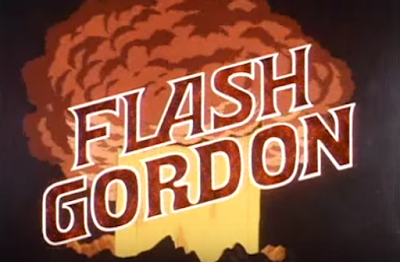 It is too bad they chose to make Flash Gordon season two writing to appeal to even younger viewers.